No matter what meal our chefs prepare, we always start with these five key factors above. We don’t believe in creating meals for the masses — we are committed to serving fresh, homemade meals, often incorporating residents’ personal favorites onto the menu. Many friendships are made in our dining rooms — that’s why we say love is served at every meal. 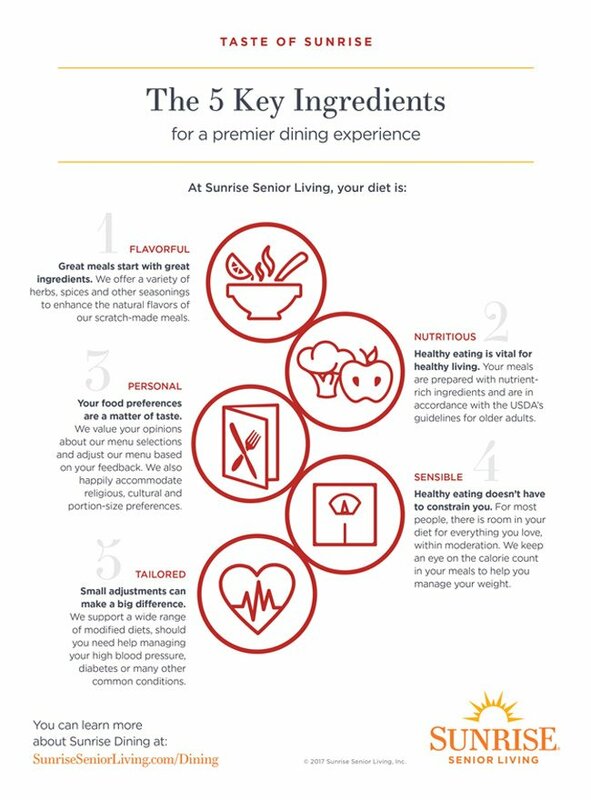 At Sunrise Senior Living, food service isn’t an afterthought, it’s a premier experience.